Sabina Alkire has contributed to a news article about the launch of a national Multidimensional Poverty Index (MPI) for Bhutan. 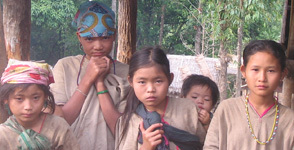 The article, published in Kuensel and titled ‘New Oxford methodology to study poverty’, discusses the adoption of the Alkire Foster method to construct the national poverty measure, and describes how the MPI will take into account a broader range of factors than poverty measures previously used in Bhutan. For example, the new measure includes indicators on cooking fuel, which has implications for respiratory health and education. The results of Bhutan’s national MPI are due to be announced in the next few weeks. You can read the Kuensel article, which was published on 31 December 2013, here.